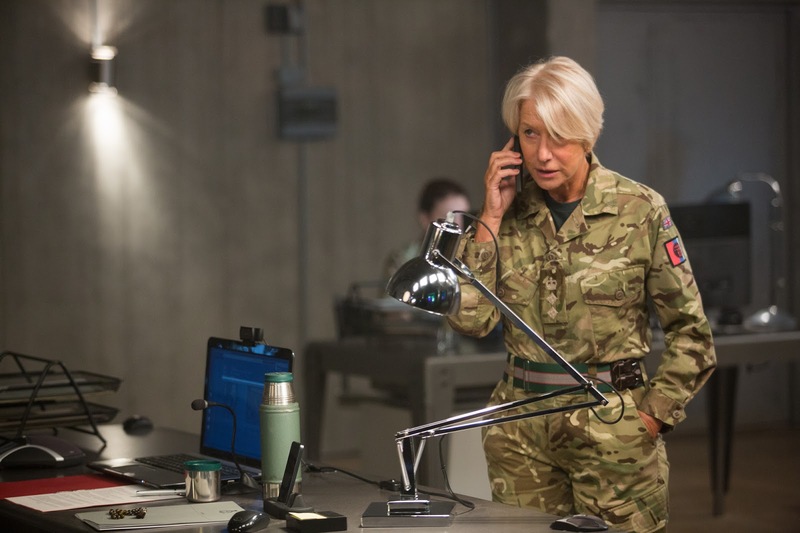 Oscar-winner Dame Helen Mirren stars with Emmy winner Aaron Paul in “Eye in the Sky” where Helen Mirren plays Colonel Katherine Powell, a UK-based military officer in command of a top secret drone operation to capture terrorists in Kenya. 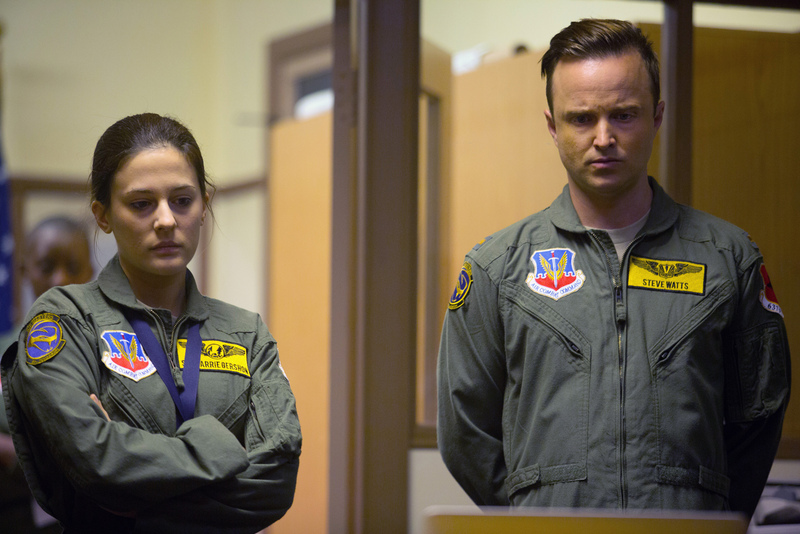 “Breaking Bad” star Aaron Paul features as pilot, Steve Watts, who operates the drone from a United States Air Force base deep in the Nevada desert. Through remote surveillance and on-the-ground intel, Powell discovers the targets are planning a suicide bombing and the mission escalates from “capture” to “kill.” American and British military chiefs are afforded the opportunity to remotely assassinate a key terrorist target, Susan Danford (Lex King), also known as Ayesha al-Hady, an English convert and high-value al-Shabab terror suspect. The decision to destroy the targets is further complicated by the problem of collateral damage, which again has to be measured from afar. The collateral damage caused by a drone strike extends beyond potential human casualties. The killing of civilians, even accidentally, has a profound impact on the propaganda war. The question remains: when to use a weapon of war? And what are the consequences of using that weapon? The weapon may be effective at taking out a target but what are the unintended consequences of using the weapon? 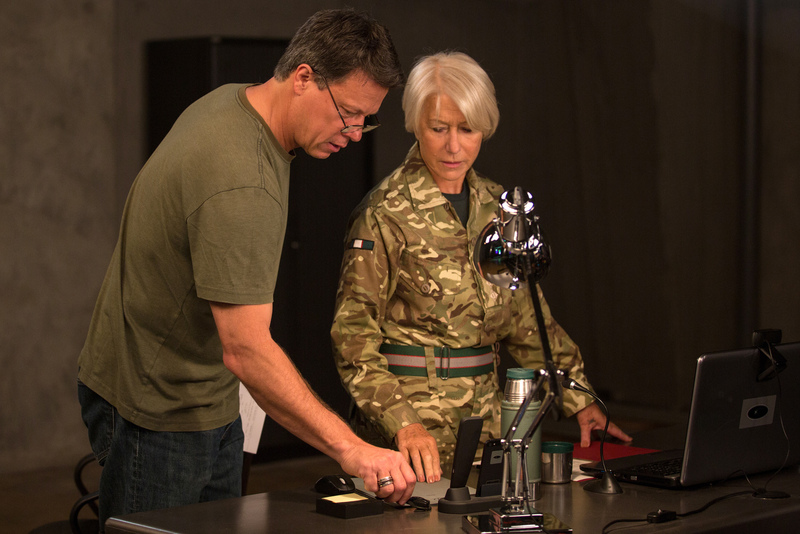 As director Gavin Hood (known for directing “X-Men Origins: Wolverine”) identifies, when a Hellfire missile is fired from a high-flying drone, it’s not as precise as a sniper’s bullet. “They give rise to very large explosions, throwing lots of debris around,” the director explains. “Inevitably, when you see that explosion in the film it becomes very difficult to argue that no collateral damage could occur. On the contrary, you see that it very easily can occur. “Aaron Paul’s character stands up to Colonel Powell,” explains Hood, “but the key is for him to do it in a way that comes from a real place. He is the person who actually has to pull the trigger. Other people may be making decisions to fire the missile, but ultimately, Steve fires the weapon. And to imagine what that must feel like, you need an actor who invites you into his dilemma and doesn’t judge the character that he’s playing.